Lynne Patterson and Carmen Velasco founded Pro Mujer, a not-for-profit women's development and microfinance organization, two decades ago in Bolivia. 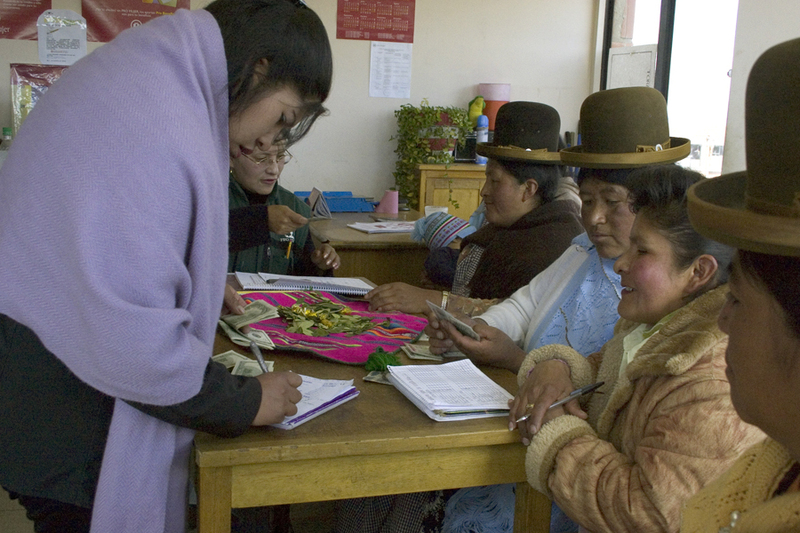 Since then, Pro Mujer has worked to improve the lives of poor women and their families throughout five countries in Latin America, distributing US$689 million in microloans. 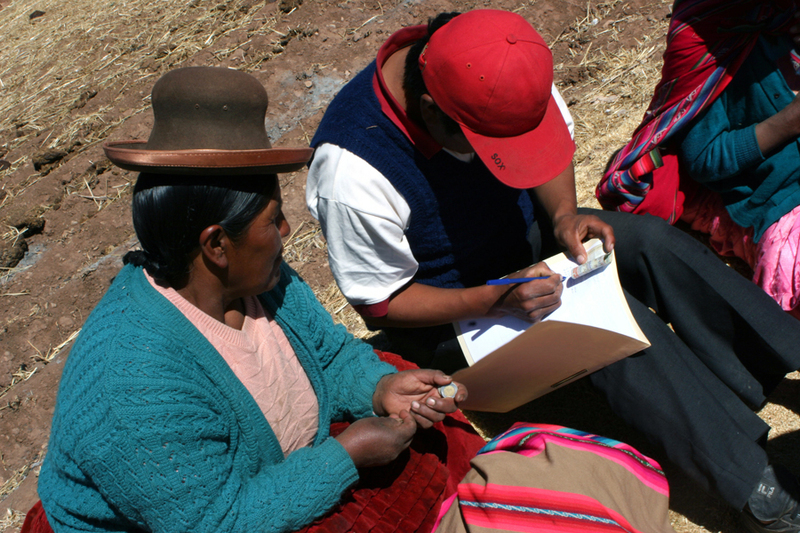 Pro Mujer is one of a handful of microfinance organizations in the world that offers an integrated approach, combining lending with health care, education and other services. I believe there's no better way to change the culture of poverty than to empower women to become active agents of change in their homes, communities and workplaces. When I moved to Bolivia 20 years ago, I knew little about poverty and nothing at all about microfinance. Neither I nor Carmen Velasco, a Bolivian professor of psychology at Catholic University, had a financial background, but we were both committed to helping poor women become more self-sufficient. We began by developing educational programs on empowerment, maternal and child health, and parenting skills, because we were convinced that only with further education and health services would the women be able to achieve their full potential. Pro Mujer, the organization we eventually co-founded, grew out of our early experience working with mothers' clubs, where we began developing the active participation model that Pro Mujer uses to this day. In Latin America, as in developing countries around the world, women labor long and hard without recognition or pay. Our methodology helps transform the way women value themselves and understand the importance of their work as mothers, wives, income earners and community members. The women in the mothers' clubs had one thing in common: they all wanted their children to have the educational opportunities that they themselves had been denied. They asked us to help them start small businesses, their only option for earning the income that would enable them to keep their children in school. We saw group lending as an ideal way to provide not only financial services-namely, the start-up money the women needed for their businesses-but also other valuable assistance. We decided to combine the lending and repayment meetings with ongoing business skill training (which the women needed to launch and grow their small businesses) as well as education in good health practices vital to preventing illness. 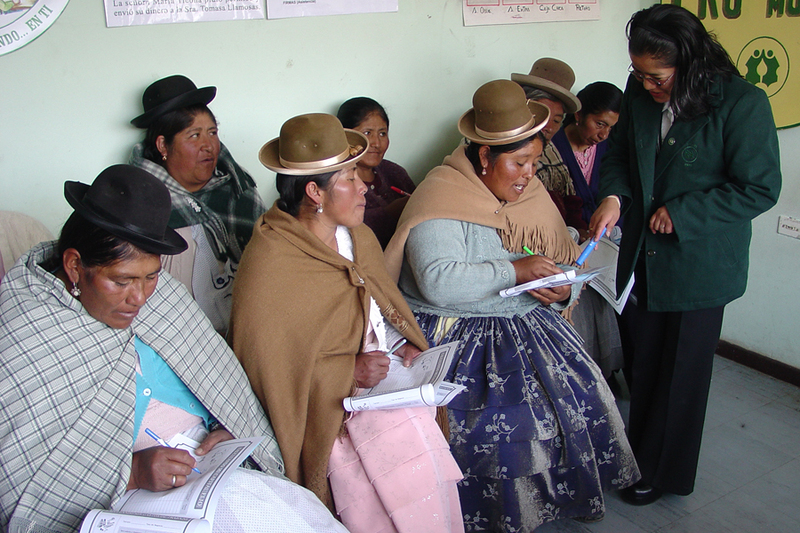 The group meetings in neighborhood centers also became a delivery system for other services, such as the clinics we established where women receive primary healthcare. In addition, the groups offered a safe space for the women to express themselves freely and work together to solve their problems. Having group support gave the women more confidence to renegotiate relationships with their families and friends. Holding leadership positions in the communal banks, as the groups are known today, led to further leadership roles in their communities. The changes the women are making in their own lives pale beside the changes they are effecting in their children's lives. Many children are completing high school and going on to technical institutions and universities. And not just the boys; the girls, too, are enjoying educational opportunities, and they are giving the credit to their mothers, who have become their role models for change. 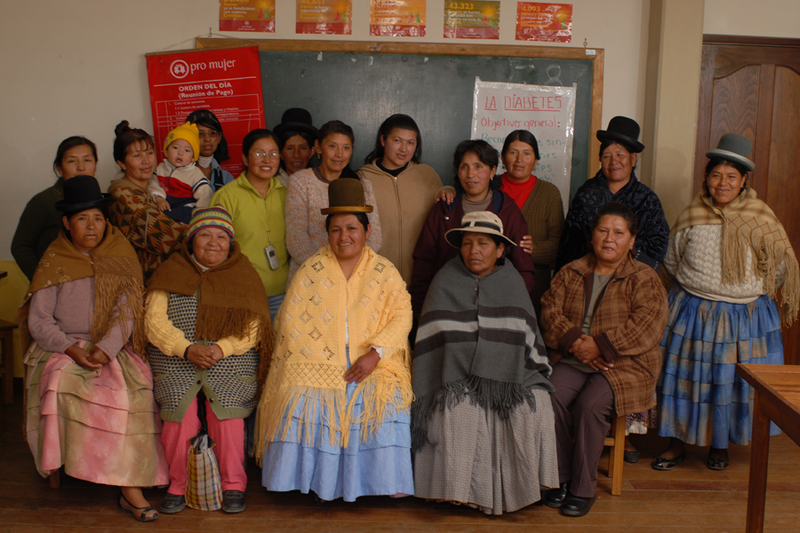 Pro Mujer now serves more than 210,000 women in Argentina, Bolivia, Mexico, Nicaragua and Peru. With over 1,300 employees in the field, we are gearing up to reach 350,000 women by 2012, impacting the lives of 1.7 million children and family members. We have a new senior management team working with field counterparts to ensure that we are responsive to client feedback and providing the most effective combination of financial, health and education services possible at the least cost. We are also working with public and private partners to bring resources to clients that we can't bring by ourselves, recognizing the vitality and strength in collaboration and the necessity of working across sectors for maximum impact. When Carmen and I founded Pro Mujer in 1990, we never dreamed it would touch the lives of so many women and families. It continues to be ever challenging and ever exciting!